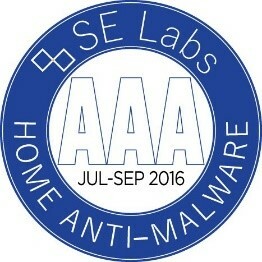 ESET Smart Security earned a highest award from SE Labs in its latest Home Anti-Malware Protection test - AAA Award, reaching the best results with the ultimate protection score – 100%. The test evaluated nine leading consumer security solutions in protection accuracy, legitimate accuracy and total accuracy. According to the report, ESET Smart Security 9 stands out as the only one product that blocked every threat. “ESET home user products protected against all of the public web-based threats and targeted attacks. It blocked 100% of the threats. This software was also entirely effective when handling legitimate objects, giving it the rare privilege of a 100% overall rating." explains Simon Edwards, SE Labs' founder and Director. With 100% scores in all tested categories, ESET’s Home User product line provided full protection against the latest malware samples, infected websites (including those which automatically attack visitors without any social engineering or other interaction), as well as targeted (exploit-based) attacks that attempt to gain remote control of the target systems. “The SE Labs test demonstrates that we are able to preserve key measures of performance, like accuracy, across our evolving home user portfolio,” said Matej Kristofik, Product Manager at ESET. “With a new line of consumer products now available globally on the market, we are able to deliver even faster and more reliable security products that fully protect users. " 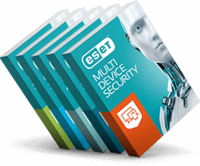 Learn more about the test results or get the quick overview of ESET’s new product line for home users.